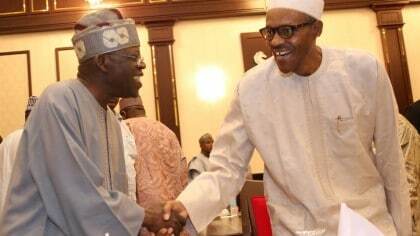 President Buhari Muhammadu Buhari has dismissed rumours that he and the APC leadership are at odds with one of the Party chiefs, Asiwaju Bola Tinubu, describing such rumours as unfounded and mischievous. The Senior Special Assistant to the President on Media and Publicity, Malam Garba Shehu, said the President was highly embarrassed by such “suggestions” and that President was in regular contact with Tinubu before, during and after the Ondo gubernatorial election. He said any suggestions that the President and the party machinery were working to destroy Tinubu had no foundation in truth or any credibility, explaining that the President was impressed by Tinubu’s assurance not to work against the party in Ondo and he honoured his words. The Presidential Media Aide also explained that President Buhari regards Tinubu as a priceless political asset to the party whose immeasurable contributions to the development and progress of the ruling party are known to all. Malam Garba Shehu advised rumour mongers stop spreading the seeds of discord and animosity between the President and Tinubu or the party, adding that the President is proud of the Jagaba and his pivotal role in the party and the movement. President Buhari commended Tinubu’s spirit of comradeship in promptly congratulating Rotimi Akeredolu who was elected Governor.